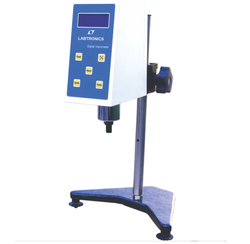 Providing you the best range of viscometer with effective & timely delivery. Testing conditions and good/bad judgment standards can be registered. Full automatic operation except for reading out registered items and loading/unloading sample.